What Can I Do with a Visitor Visa? In this day and age, anyone who enters the United States, even with valid status, must be careful to ensure they obey all immigration laws. However, misinformation is always being circulated. One of the situations where this is very common is in applying for and using a visitor’s visa (B1/B2 classification). There are some enduring misconceptions on what that visa allows you to do and what it does not, and if you use it inappropriately, you may wind up with immigration consequences that are annoying at best, and permanent at worst. The standard U.S. visitor visa is a B1/B2 combination. A B1 visa is a business visa, while a B2 is a tourist visa. They are usually issued in combination because even those who enter the country on business will very often engage in some sightseeing and leisure time, and those who enter on tourist visas may wind up doing something in furtherance of their business or employer’s interests; it is simply easier to issue a combination visa than to police every tourist’s itinerary and time. It is important to understand that the U.S. has both nonimmigrant and immigrant visas, and a B1/B2 is a nonimmigrant visa, meaning that it has temporary validity and requires that someone vacate the country by a certain date. This also means that you cannot adjust your status to that of an immigrant - nonimmigrant visa holders may, in some cases, change one nonimmigrant status for another, such as a tourist obtaining a visa to study in the country, but they cannot say, apply for a green card. While a B1/B2 visa is very versatile and offers a visitor permission to do quite a lot while present in the U.S, there are certain actions that a holder cannot take. The most commonly asked questions involve work - generally, if you are coming to the U.S. to perform any kind of paid labor, you need a work visa, as opposed to a business visa. This may seem confusing, but the main question to ask is who is paying you - if it is your home employer, then your activity is probably acceptable; if it would be a U.S. entity, then a work visa is probably required. You may also not obtain a B1/B2 visa for the purpose of study or to come into the country for marriage. When one applies for a visa, the consul will evaluate what is called immigrant intent (or lack thereof). If you demonstrate any kind of intent to remain in the U.S., but you are not applying for a valid immigrant visa, the consul has grounds to deny your visa, because it shows bad character to apply while lying. Bad moral character is a ground for inadmissibility in general, though few people are ruled inadmissible solely on that ground. If you have questions about your B1/B2 visa, contacting an attorney is a good idea, regardless of what point you are at in your journey. 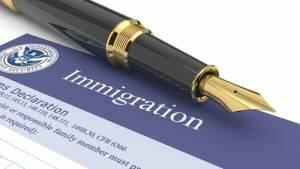 The dedicated Chicago immigration lawyers at Mevorah Law Offices LLC are happy to try and offer you guidance regarding your visa and your future plans. Call our offices today at 630-932-9100 for a free consultation.